If you’ve decided that you might like a credit card, you need to know a few things before you apply. Not everyone gets accepted for credit cards, so it’s important you do the right research before you fill out your application. In this article, we’re going to look at a few tips so that you can make sure your application is more likely to be a success. Credit cards can be very useful – but you need to be careful with them. While some things can only be bought with a credit card, you might want to try an alternative if you aren’t good with money. Debit cards are easier to get accepted on and won’t put you in as much debt if you miss payments. You’ll only be able to pay what’s in your account along with a small overdraft. One type of card that’s even easier to get accepted on is a prepaid credit card. You can use these in nearly all of the same places as a real credit card, but you can only spend what you can afford. 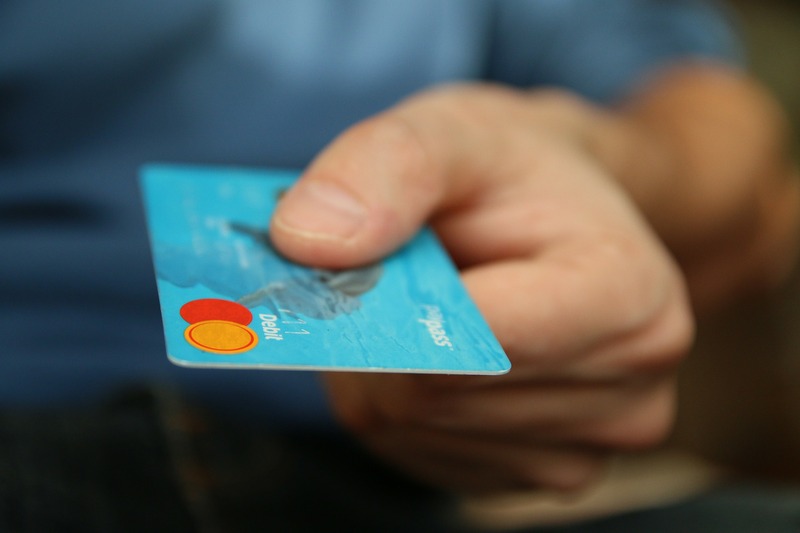 You effectively “top-up” the card with money before you spend on it. Your credit score is one of the main things many credit card companies look at before deciding whether to accept your application or not. A credit score is built up over a number of years and represents a rating on how good or bad you are at managing money. If you’ve had a lot of issues in the past with your finances and have missed loan repayments or defaulted, you could have a bad enough credit rating that makes it hard to get accepted for loans or credit cards. Alternatively, you could just not have enough history to get a credit card. If lenders don’t know how sensible you are with money, they won’t know whether you’re likely to pay loans back or stick to payments. If you want to find out your credit rating, the good news is that it’s quick and easy to do online. There are even some free tools which you can use to show you all the information you need to know. If you do have a bad credit rating, then you’ll need to make improvements to it before you can get accepted on good credit cards. While you can’t fix a bad credit rating overnight, if you start managing your money properly, you should slowly start to see it improve. Try paying more than the minimum on your other payments, or paying off the debt completely. These sorts of things make it look like you’re good at managing your finances and could improve your credit score over time. Avoid getting overdrawn and stuck into holes of debt as this could have adverse consequences for your credit rating. If you’re unsure on how to improve your credit score quickly and easily – there’s loads of help available online. You might want to check with an expert or do some further research into the issue. The good news is that even a really bad credit rating can be improved over time. If you’ve got a low credit rating simply because you haven’t got much of a history with financial products, then things might be a bit more straightforward. Some ratings are low simply because you haven’t really had any debts before. If that’s the case, try a prepaid card and build up a history of payments and good money management. Even if you’ve got a bad score, there are some credit cards for bad credit that you might be able to apply for. You can’t apply for a credit card unless you’ve got all the right documents. Make sure you’re on the electoral roll as this is something many lenders check to verify your identity. Make sure you include multiple proofs of address and financial statements. You won’t get accepted for some cards (or any) if you don’t earn enough. Lenders often don’t want to take risks with people who they aren’t sure earn enough to make payments. However, there are still some options for lower earners so you shouldn’t be completely discouraged. Don’t just sign up for the first card you see – shop around. Some might have great introductory offers that you can use to your advantage, like interest-free periods. One good idea is to move cards regularly and only use cards when they’re in their interest-free period, that way you won’t have to pay any interest for quite a while. Make sure you’ve checked all the smallprint thoroughly and are aware of any late payment fees. You don’t want to get stuck in spiralling debt because you missed a payment. You can try a number of different comparison sites online to look for the best deal for you. If you do get rejected in a credit card application – don’t worry, you can still make improvements to your finances so that things are better next time. However, try not to apply for too many cards at once if you keep getting rejected, as this can be a red flag to credit card companies and could even harm your credit rating. Hopefully, you know now enough to start applying for the right card so that you can start building the best possible financial future for yourself.